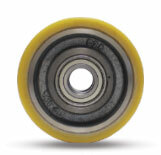 Whitelink fabricate Wheels of all shapes and sizes and the range is unlimited. We have supplied wheels for handling and forklift trucks, theme parks, theatres, warehouses, suspension bridges, waste handlers and many more. All our wheels are tailored to individual customers needs. We have the ability to fabricate wheels from a variety of different materials including phosphor bronze, stainless steel, aluminium, nylon, mild steel and cast. Wheels can be fabricated to customers own designs or designed in house to meet the customers requirements i.e. load, speed and stability. 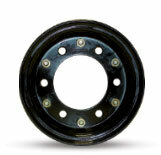 Whitelink Ltd have long term expertise/market knowledge of wheel specifications and in many instances are able to manufacture wheels from truck model and/or serial number. IF THERE IS A WHEEL INVOLVED THEN WE’VE GOT IT COVERED! 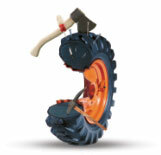 Engineered and Compression moulded, high quality rubber tyres. Specialist Polyurethanes are available for specific applications. 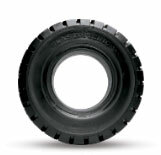 Fabrication solid industrial tyres are produced for Fork Lift Trucks. 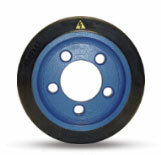 Carpenters Liquid polyurethane replaces the air in any pneumatic tyre.